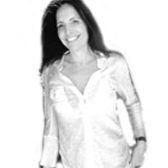 Naomi has over 25 years of experience in licensing, curating content for and store/brand promotions. In the UK Naomi worked with major and independent lebels on their global sales. She worked with a major US distributor on their private label, licensing content from special markets divisions of all USA Major labels. Her client was the first distributor to be granted a private label by the US Majors. Naomi developed Wal-Mart Canadaâ€™s budget musicÂ program curating content from all over the world. She supplied major US retailers including Wal-mart USA with special music promotions designed around in-store campaigns. Her company Kings Roadâ€™s re-issue label was sold in major retail world-wide. Naomi also works closely with Hollywood, sync licensing music for film and TV programs.